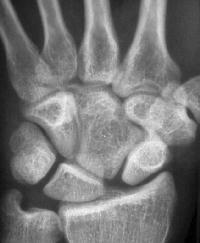 This patient was evaluated for wrist pain following a wrist sprain. 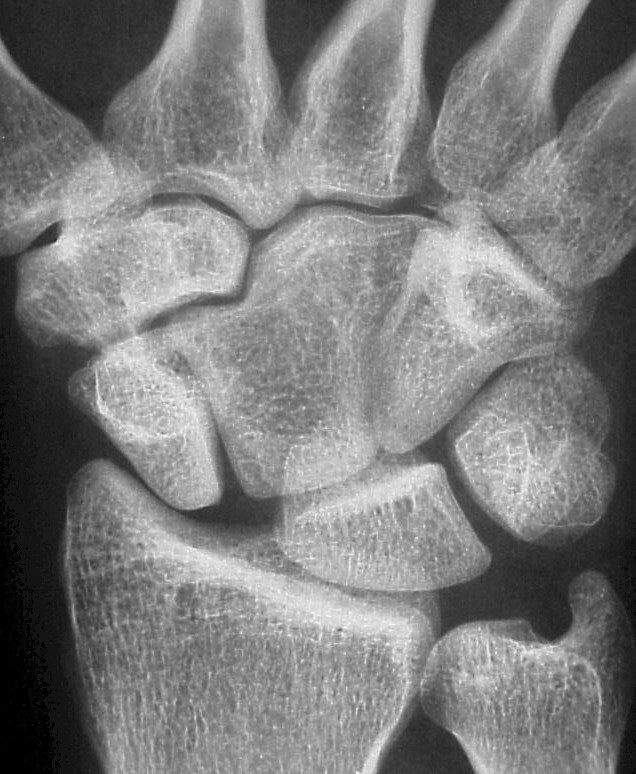 Plain films demonstrate an unusual capitate contour, articulating with the proximal trapezoid. 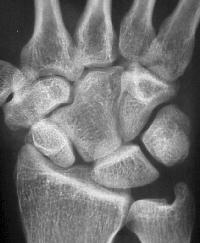 There is a wide scapholunate interval. The scapholunate angle is abnormal, about 80 degrees. 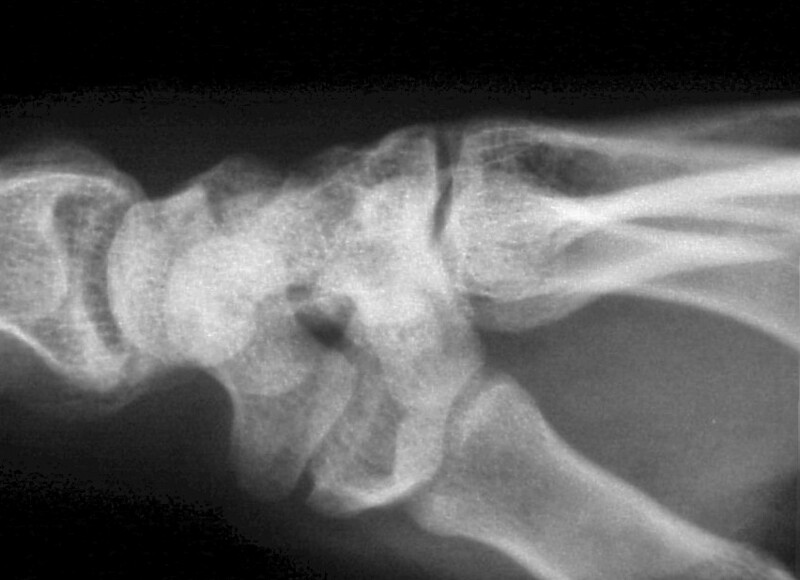 Radial and ulnar deviation views show minimal additional scapholunate widening in ulnar deviation. The opposite wrist is similar. 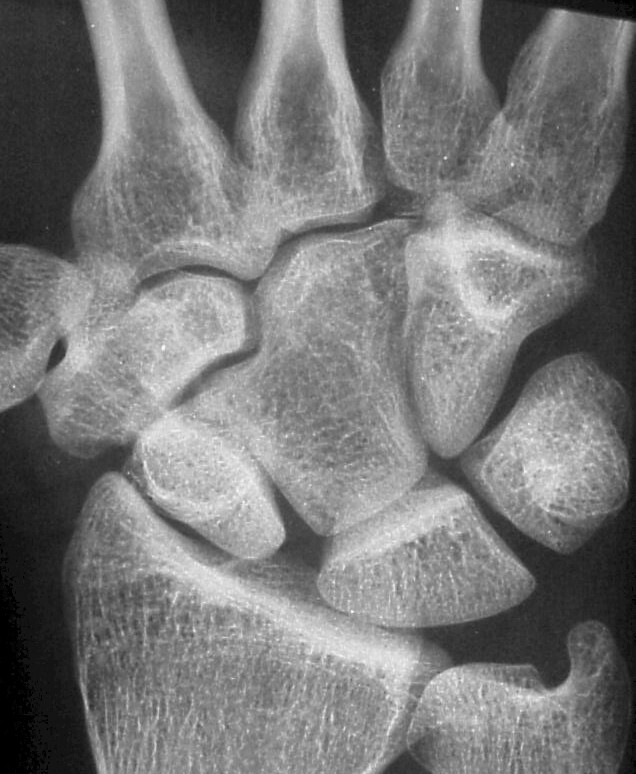 This anatomy probably represents congenital carpal coalition between the capitate and an os centrale.